Good to see it confirmed also now with qpAdmin. See what you get for some of the BA Hungary, and Unetice individuals. I think Armenia EBA is just beginning noticeable by the EBA (c. 2000 BC). Unetice really doesn't like Armenia_EBA. All of its Caucasus_HG is from Steppe_EBA. I'll check the Hungarians in a while. Hungary_EBA is a no, but Hungary_LBA is a maybe. The fit doesn't improve with Armenia_EBA; it just gets a little worse. Germany has an additional component Gedrosia. Probably, it is necessary to compare with Zagros, Iran and Iranians. Gedrosia is a meaningless Admixture cluster. The ancient DNA of Zagros/Iran are not meaningless. For Northern and Central Europe they are. A lot less than Armenia_EBA and Jordan_etc. How do you know which migrations were and what were not? How do you know of any happening places Iran_HG? Neolithic Iranians and the Hotu forager aren't relevant to the ancestry of Northern, Central, and Eastern Europeans. Get over it. There might be some Neolithic Iranian admixture in Southern Europe, but it's not much. "It's an interesting question how they ended up with this extra dollop of Caucasus_HG, if they didn't get it from Yamnaya and/or related steppe peoples." One guess might be some near-steppe populations were displaced by conflict with the pastoralists during the phase when they were strong enough to be a pain but not strong enough to actually invade. Didn't the Steppe people get their domesticated cattle from the Neolithic Iranians? "In other words, this person lived not too long before the massive Early Bronze Age..."
Yeh, Just almost 2000 years. -- I keep saying you have a problem with the concept of time. Hey, how does the Lengyel LN sample model in the terms of your last post? Lengyal qpAdm2 vs Barcin qpAdm1: http://i.imgur.com/unpGVzT.png, CHG qpAdm2 vs CHG qpAdm1: http://i.imgur.com/1Mdrxym.png and WHG qpAdm2 vs WHG qpAdm1: http://i.imgur.com/ZchxELY.png. (The CHG fraction goes negative in some of the values due to adjustment for the Yamnaya CHG fraction). That is interesting. Why do you say that? Because I know that not even the eneolithic in south Caucasus had Cattle from Iran. actually not even sheep and Goats were Iran/Zagros adna. Because those in south Caucasus were coming from Anatolia as a different domesticates. I did PCA of the data without Udmurds, so that two dimensions explain 97.32 % of the variance. I also requested the software to draw 95% confidence ellipse in the score plot around Poltavka, Corded_Ware, Unetice and Srubanya. Assuming that given populations are early IE there is 95% chance that the ellipse will also include other early IE populations. As you can see the ellipse included Polish, Belarusian and Swedish. Polish and Belarusian are R1a dominated populations derived from Corded Ware, so the result is as expected. Swedish is Germanic but we do not know who lived in Scandinavia before it was conquered by R1b dominated Celto-Germanic tribes from the south. Soon we will find out as some early IE kurgans there are now tested for aDNA. Sardinians top the list of the Barcin-like ancestry, but Sicilians follow right behind, and South Italians are probably close. Yet Sicilians (and probably South Italians) are also among the populations with the strongest Armenia_EBA and Jordan_EBA admixture, while Sardinians have very little of it. Jordan_EBA is strongest in eastern Sicily, while in Western Sicily and probably in Southern Italy Armenia_EBA is stronger. With these morphs above you can now see how these subtle genetic differences become manifest in the morphology. IMO the remarkable strength and the relative uniformity of that Armenia_EBA-like admixture in Greece, Albania and parts of Italy makes it unlikely that this was brought about by more or less random movements of individuals at a late date, like the Roman Age. The Jordan_EBA admixture is a different matter, as this is only strong in eastern Sicily, for whatever reason. (This also suggests that it spread at a later date than the Armenia_EBA influence, since both must have come from the east.) And to me it seems that on a local level, in some places of northern Italy Jordan_EBA admixture may also surpass the Armenia_EBA influence, at least in the corner around the western Po plain where yDNA haplogroup J2 is rather uncommon. And we've already seen direct evidence for a Jordan_EBA-like migrant in the Roman era, the Roman-British outlier. To me it seems the "EBA Armenia", whatever it stands for, is more than a dollop, but some 25% in abovemebtioned regions, especially central Italy and south Balkans. IMO it occurred in the Bronze Age and has since been attenuated by Urnfield expansions into northern Italy and others into Balkans, most recently Slavs. Is it becoming reasonable to suggest that Sicilians are as Levantine-shifted as they are because of post-Bronze Age admixture from Phoenicians and/or Jews? We used to be allergic to such suggestions, but it doesn't look like an artifact anymore. Could it be related to the arrival of Etruscans? After reading about the proposed Tyrsenian language family, it seems that they may have been part of a pre-IE language family that was more widespread across Greece and the southern Balkans during the early Bronze Age. It is tempting to link them with Caucasian-related groups like Hurrians, perhaps ultimately stemming from the expansion of the Kura-Araxes culture. Is it really that surprising that while steppe peoples were on the move the rest of the world wasn't static? Can you test if Spanish and French can be modeled with Aremenia_EBA? Spanish and French score above one percent CHG. Spanish and French score over 1%. nMonte results from your D-stats give French and Spanish a some West Asian admixture. English get much less but some. Could be, but the signal (at least imo) is too wide (from parts of south Central Asia to Southern Europe, peaking in Cyprus, and to northern Levant) to be Etruscans, or indeed any single group. But such groups could have been part of it. <0% Nganasan scores for most Europeans might be legitimate. Most European populations have over 1% Eastern Asian mtDNA. However no examples of Eastern Asian mtDNA have been found in ancient Europe(excluding Bronze age Karelia). I've been thinking for a while that Eastern European farmers from maybe even further east than Hungary and Poland gave Europeans a lot of their farmer ancestry. Corded Ware Germany probably piked up most of their farmer ancestry around Poland, Hungary, Ukraine, and Romania. Bell Beaker Germany might have picked up even more farmer ancestry from that region. I explained here that natural selection probably changed the frequencies of mostly EEF-derived haplogroups in Europe; H became more popular, K1a4 and T2b became less popular. But.....I think it's possible that some of the differences in frequencies is due to Central European farmers not contributing a lot of ancestry to modern Europeans. Instead the farmers from Western and Eastern Europe may be the primary farmer ancestors of modern Europeans. Evidence for this hypothesis is the extremely low frequency(0.00...%) of N1a1a in modern Europeans. N1a1a was popular in Central European farmers but unpopular(0% in Chalcolithic samples) in Iberian farmers. Yeah, I reckon what happened was that the descendants of Danubian farmers like Lengyel, already with some CHG-like ancestry, mixed into the steppe package that then fanned out deep into Europe and subsequently mixed with Atlantic farmers. Eastern Europeans mostly lack that Atlantic input, for obvious reasons. Btw, French and Spaniards, at best, show minor Armenia_EBA related ancestry, probably via recent contacts with Southeastern Europeans. Baalberge looks important to BBC because it has the right Western_HG ratio. My analysis doesn't test for a fixed Western_HG ratio; it tests for the more plausible farmer source and varies the Western_HG ratio as necessary. Ah yes, I suspected as such. How many outgroups can be tested against in qpAdm? I'm stretching things with 14, and I can't think of any others that I could add. I'm not sure how to incorporate Anatolia Chalcolithic into this model, because it's so similar to both early Anatolian/European farmers and Caucasus_HG that it conflates with them both, producing a lot of "infeasible" results. But when I try to correct the "infeasible" models, I end up with models that don't make much sense in terms of spatio-temporal and archaeological factors. We'll need more Anatolia Chalcolithic samples to measure its impact on Europe, and this will have to be done by also looking carefully at uniparental markers. My qpAdm models suggest that Lengyel_LN has 5-6% more CHG than Hungary_LBK, and about 3% more WHG. But at the same time, it doesn't show significantly more CHG than Germany_LBK or Barcin_Neolithic. You should add IranNeo as an ancestor. Iran Neolithic is in the outgroups. No point using it in the reference pops, because it's a lot like Caucasus_HG, just much less relevant for Europe. Well, Iran Neolithic produces somewhat better fits for Albanians and Greeks, but totally fails for Germans. I'll check more populations later. Therefore, it wopuld not be surpising if such migrations also influenced Greece and even regions of Italy. I wanted to ask how do Cypriots and Levantines (e.g. Lebanese/Druze, Samaritans, Israeli Arabs) behave in these models? Do they get any Steppe_EBA or are they simply a mix of Lengyel_LN and Caucasus_HG? And with Levant Neolithic replaced with Israel Natufian in the outgroups. 1. Dave - what is your source for "Germans"? There was an older set somewhere (fail to find it now), made up by just four individuals, two of which were in fact Austrians. Or are you using the new Laz 2016 set from the Leipzig area? In any case, given the size and diversity of Germany, it would be good to better localise "Germans". For example, I am sceptical that the set adequately represents Northern and Western Germany. 2. Can you test whether the CHG admix in Poles/ Germans can be explained from Skythians ? Alternatively, while anachronistic, can you test with Ossetians, as a proxy for Alans ? 3. I suspect that some of the CHG in Central Europe may go back to the EN. Millet, well evidenced from the North Pontic EN, is absent from Danubian and Rhinish LBK, but has been occasionally found in Elbe-Saale LBK (a/o a sizeable deposit in Erfurt), and quite regularly in Poland. So, in addition to the Danubian route, there may have been something like a Bug-Dniester route of Neolithicisation, which would have been more CHG-(Iran_Neol) loaded. I0795 (yDNA T1a) deserves a closer look in that respect. Also, I0048 seems to incorporate a Caucasian element according to the Admix13Q, and nMonte analyses provided to me by Alberto and Rob. I0022 also has Caucasian admix. acc. to Admix13Q. 4. Lengyel is highly relevant, as it is credited with having spread copper metallurgy to Central Europe. The Gatersleben Group, a Lengyel offspring, entered the Elbe-Saale Region during the late 5th mBC and should have influenced the genetic profile of subsequent MN populations like Baalberge. Another Lengyel offspring was the Münchshöfen Culture in E. Bavaria/ C. Austria (ca. 4500-3850 BC). Lengyel elements continued into the subsequent Altheim and Mondsee cultures. The so-called Polgar cultural circle formed a bridge between Lengyel and CT. For their close relation, both are often addressed as Lengyel-Polgar complex. The Polgar circle a/o comprised the Tiszapolgar / Bodrogkeresztur cultures around the Tisza, the Złotniki Wyciąże Group in lesser Poland, and the Lublin-Volhynian Culture. - incised, triangular-shaped decoration patterns with white incrustation, usually close to the rim. However, there are also differences, e.g. decorative copper items in Polgar burials, while GAC prefers amber. Your recent analysis of the effect of Armenia_EBA on SE Europe is quite refreshing! As I've argued, there was a massive Mediterranean migration to SE Europe during the Bronze Age, hightlighted by the Philia culture in Cyprus. These movements are unlikely to have convected I-E languages to SE Europe, given the pre-Greek/pre-I-E toponyms (-ss- & -nth-) prevalence in Greece, Crete, Cyprus and Central/Western Anatolia. In addition the -sb-/-zp- consonant cluster (Lesbos/Lazpa) is very un-I-E. We've published that the frequency of these toponyms correlates with the present frequency of J2a-M67 in the region. I agree that we need to see more LN to EBA aDNA samples from the Mediterranean. "These movements are unlikely to have convected I-E languages to SE Europe, given the pre-Greek/pre-I-E toponyms (-ss- & -nth-) prevalence in Greece, Crete, Cyprus and Central/Western Anatolia". Perhaps this thought should be updated, as many others of yours: it seems that these suffixes belong to the Luvian language, and Luvian is IE. Great thanks a lot for the additional models! Interesting.. I get similar results in nMonte using Basal-rich K7 and Global10 data. So basically, when Armenia_EBA comes into picture, Steppe_EBA loses any significance for Cypriots. Very interesting points regarding EBA movements into SE Mediterranean Europe. I agree with you that any EBA population movements from Anatolia/Armenia to Cyprus/Crete were not related to the Indo-Europeanization of these islands, which probably happened at the beginning of the Iron Age via Greece. I also agree that these EBA movements very likely introduced (or boosted) J2a in these islands, which still predominates till today..
General comment: We are missing autosomal data from Crete. David I remember you had at least one Cretan Greek in your dataset, but I understand that this sample is not used in your more recent analyses. Right? "I also agree that these EBA movements very likely introduced (or boosted) J2a in these islands, which still predominates till today.."
Sample from Qatar very likely came from India and before from Caucasus. Sample from Tuscany is very old and J1 and J2 are in Italy from WHGs. "These movements are unlikely to have convected I-E languages to SE Europe, given the pre-Greek/pre-I-E toponyms (-ss- & -nth-) prevalence in Greece, Crete, Cyprus and Central/Western Anatolia." Those are pre-Greek, but they are not pre-IE toponyms. And they are Luvian language toponyms. For unbiased research is needed to compare with the ancient Iranian components. "These movements are unlikely to have convected I-E languages to SE Europe, given the pre-Greek/pre-I-E toponyms (-ss- & -nth-) prevalence in Greece, Crete, Cyprus and Central/Western Anatolia"
Finkelberg has argued they are IE languages of Anatolian type. The Germans I have are from all over Germany. Yamnaya-related ancestry in Germany and Poland came from the same source as in the rest of Northern Europe, in other words the Early Bronze Age steppe, and that's why Yamnaya-related ancestry proportions are today so even across Northern Europe, from Ireland to the Volga. Scythians had a lot of Siberian admixture and Ossetians are modern West Asians, so almost half of German and Polish genetic structure can't come from these sources. It'd be really obvious if it did. Instead it's obvious that Yamnaya-related ancestry in Germany and Poland came from the Early Bronze Age steppe, and was mostly mediated via Corded Ware people and Bell Beakers. The samples I'm using are just marked "Greek" with no other information. Some may be from Crete, but if so, they're not very different from the rest, because there are no outliers in this set. Unbiased research shows that Iran was not an important source of genetic ancestry for Europe. You obviously would like it if it was, and you believe that Dienekes' Gedrosia Admixture cluster shows that it was, but ancient DNA clearly shows that it wasn't. Zagros Neolithic farmers and the North Iranian Hotu forager are very distinct in terms of autosomal genetic stucture, and most also show typical South Caspian uniparental markers, so it would be easy to show if they had a meaningful impact on European genetic structure, but they obviously didn't. "Also, I0048 seems to incorporate a Caucasian element according to the Admix13Q, and nMonte analyses provided to me by Alberto and Rob." If those Bulgarians only have EHG and not CHG, you might want to try that instead. If they don't have CHG, it's unlikely anyone up the Danube does. qpAdm says CHG is infeasible. Best fit is 81.5% Hungary EN, 12.1%WHG, 6.4% EHG for Lengyel. That's with transversions too. Back to the same question: why is CHG so much higher in nMonte vs qpAdmin ? It's not about the whole of Europe, and only of Germany. Gedrosia there are many in Germany and Iran. If you compare with Armenia, it means you need to Iran. Logics. The Armenia better Iran? It matches other statistical methods better. The answer to why Germans score high Gedrosia is simple. Modern Germans and Iranians both have ancient Caucasian/Iranian ancestry. This ancestry was given to Germans by Yamnaya. It was given to Iranians by different people. Gedorisa contains ancient Caucasian/Iranian ancestry plus ancestry unique to Western/Central/Southern Asia which Iranians have but Germans don't have. Germans don't score Gedorsia because they have that ancestry unique to Asia but because they have another type of ancestry inside of Gedorsia. Formal Stats, like apADM, say modern Germans and Late Neolithic Northern Europeans are genetically the same. They don't say modern Germans have ancestry from Iran that Late Neolithic Northern Europeans didn't have. All of the ancestors of modern Germans were somewhere near modern Germany after 2500 BC. "Finkelberg has argued they are IE languages of Anatolian type"
Pace Finkelberg, most would argue that Linear A is not Luvian (nor are the -ss- and -nth-) toponyms. If fact, the most compelling argument IMO derives from the words with "bad" consonant I-E formation, like Lesbos and Lazpa. Also I agree that the Philia horizon is just one of many migrations presumably from Anatolia to SE Europe. EHIII circa 2200 BCE at Lerna is a great example of a radical transformation in culture in the Peloponnese in Southern Greece. Yes we can take the point that her views are not widespread. How would you lin, if at all, the changes at Lerna with possible small-scale migrations ("colonization") at places as Kanlıgeçit-Selimpaşa-Mikhalich (Thrace) and La Bastida (iberia) ? I always thought it likely that the Greek and possibly Albanian (which might mean, by extension, the Illyrian as well) branches of IE languages made it to Europe after settling in BA Armenia, in which their speakers acquired elevated levels of CHG ancestry from Kura-Araxes-like natives. In contrast to the wagon- and chariot-based invasions of the steppe IE peoples, IMO Greco-Albanian most likely arrived in the Balkans by direct Black Sea voyages from the area around historical Colchis. This helps explain why Greco-Albanian are language isolates that diverge from the main steppe families, why Greek in particular is said to have some uncanny parallels with Armenian, and why Greco-Albanian seem to display more satem-like linguistic elements than say, Celto-Italic and Germanic. The historical Greek acclimation to seafaring (in contrast w/the more land-bound steppe raiders), their very early familiarity with the Black Sea, etc, seem to support this theory as well. Being isolates doesn't link them in any meaningful way. I'd be more inclined to link Illyrian to the Celto-Italic branches, albeit this is based on a personal hunch. Thanks! Yes, I think that Kanlıgeçit-Selimpaşa-Mikhalich reflect concurrent/similar processes at Lerna, Troy and even Poliochne and ultimately can explain J2 lineages in modern DNA of SE Europeans. There seems to be two parallel streams in the EBA--steppe influence and International Anatolian influences. Both movements had profound effects on modern DNA patterns in the area. Gedrosia might be a fluke as Davidski claims, but pinning German Gedrosia on Yamnaya does not seem to work. We are talking about a component that modal around the British Isles and the surrounding Atlantic coastal regions (at least inside Europe) and sharply declines east of Germany, being virtually nonexistent in East European populations that otherwise score high Yamnaya-like ancestry. Can you try to differentiate which is the best EEF source for Albanians, Tuscans, Bergamo, Greeks outnof Baalberg, Lengyel, Barcin ? Gedrosia is not a fluke. It's an artifact. The Admixture algorithm is fed a very specific dataset with certain populations, like the Brahui and Balto-Slavs, that show more distinct drift patterns than others and can thus more easily trigger clusters, and it has to somehow fit everyone into this framework according to real underlying ancient genetic substructures. In this instance, the problem seems to be that Steppe EBA and ANE ancestry proportions are very even across Northern Europe, all the way from Ireland to the Volga, but because of the dataset used and thus the character of the 10 or whatever clusters, Admixture is not able to convey this via a single cluster. This might be because the main Northern European cluster is based more on Balto-Slavic specific drift than Northwest European specific drift, so the Northwest Europeans, especially the Brits and Irish, who are less Balto-Slavic like than Germans and Scandinavians, are forced out of the Northern European cluster to some extent, and have to pick up the ANE that they lose via Gedrosia. This sort of thing happens all the time with Admixture, and it should be obvious by now that Admixture output at more than a few K (ancestral clusters) is usually very cryptic and can't be taken literally. Could someone please clarify when the first Indo-Europeans arrived in Central Europe ? If this was during the very beginning of Yamna or rather at the end of Khvalynsk ? I would like to clarify for myself the speed of migration. If Yamna dates only from 3500 bC. and Indo-Europeans arrived in Central Europe at 3300 bC. like Afanasevo at the other end of the spectrum it would mean a very fast expansion etc. Could someone clear up this confusion for me please ? You're not very good at this. Have you considered getting another hobby? This fixation with Gedrosia, Germany and Iran doesn't look very healthy. Or you can ask Dienekes for an "unbiased" analysis. Maybe he can pull something else out of his behind like he did with Gedrosia? No one knows yet. But the next big paper, or rather data, on ancient Europe should clear it up, that's why we're all waiting with baited breath for this next release of ancient data. You need to crank up qpAdm and have a look. It's a fun game, but it eats up a lot of time. 95% of Yamnaya in the west rather dates to 3000 -2400 BC, barring a few outliers either direction. On the topic of ADMIXTURE clusters, yes, it's amazing how misleading they can be. Based on the distribution of the Dodecad K12b Caucasus component for example, who would have guessed that from all Europeans outside of the Caucasus Germans have the largest proportion of CHG ancestry ? Caucasus/northern West Asian ADMIXTURE components rather suggested a peak in southeastern Europe, not in Germany. “it's obvious that Yamnaya-related ancestry in Germany and Poland came from the Early Bronze Age steppe, and was mostly mediated via Corded Ware people and Bell Beakers”. This is the most interesting question. How much Corded Ware ancestry and how much Bell Beaker ancestry in Poland and in Germany? Based on Y-DNA Slavs came from Corded Ware and Germanics and Celts from Bell Beakers but there was some mixing going on. For example Unetice was derived from Corded Ware but with some Bell Beaker admixture according to archeologists. Can we determine how much Corded Ware and Bell Beaker ancestry there was in Unetice? It can’t be done by nMonte. Determining this is important for linguistics models. Corded Ware is linked with Slavic, Baltic and Indo-Iranian languages. But what languages were spoken by Bell Beakers? Was it already proto-Celto-Germano-Italic? "Is it becoming reasonable to suggest that Sicilians are as Levantine-shifted as they are because of post-Bronze Age admixture from Phoenicians and/or Jews?" Hardly from the Phoenicians, because the Jordan_EBA-like admixture is strongest in eastern Sicily, while the Phoenicians only influenced the western coastal area. And judging from Davidski's numbers (33% Jordan_EBA in eastern Sicily) it must have been something very substantial. People have speculated that the Sicels (who lived in eastern Sicily) were identical to the Shekelesh of the Egyptian sources. Moreover the latter were described as being circumcised like Semites. Maybe it's true?? Thank you for this detailed explanation. Fluke was a wrong choice of word from me, I actually knew what is your claim (in general). I was sceptical about that however, because it seemed rather big for an artefact and you never went beyond a detailless discard in anything I happened to read, which created a false impression that you did not actually think about it. That being said, the explanation above sounds plausible. "Could it be related to the arrival of Etruscans? After reading about the proposed Tyrsenian language family, it seems that they may have been part of a pre-IE language family that was more widespread across Greece and the southern Balkans during the early Bronze Age. It is tempting to link them with Caucasian-related groups like Hurrians, perhaps ultimately stemming from the expansion of the Kura-Araxes culture." A problem with this line of thought: We've seen a preliminary PCA plot of three Etruscan genomes, and they were not very similar to modern Tuscans, and two of them plotted close to Iberians, which means that these had little Armenia_EBA admixture. And archaeologically it would be most easy to derive the Etruscans from the Protovillanovans who belonged to the Urnfield groups. And since Bronze Age Hungary had a relatively low Steppe_EBA admixture, it seems possible that non-IE languages survived somewhere around this corner for a longer time. Maybe Italic and Celtic didn't even expand from the Carpathian basin, but from a northern proto-Bell Beaker wave. East Sicilians seem to have a more elongated upper face, a higher nose and a lower interorbital distance than Sardinians. Whereas the West Sicilians seem to have broader facial shapes, like the South Italians. Makes sense, some Greek morphs I've seen were also rather broad faced. This seems to be associated with Armenia_EBA influence. Unless of course italic didn't come from the north and the Celtic Italic affinities are just convergence ? Indeed, it's already pretty clear from Y-DNA that Germans have more Bell Beaker ancestry and Poles more Corded Ware ancestry. And the Corded Ware ancestry in Poles is probably somewhat different than the Corded Ware in Germans, with Poles very likely having much more eastern Corded Ware input, largely via Trzciniec Kurgan people. But there's no reliable way of estimating Bell Beaker vs Corded Ware ancestry proportions at the moment, even for Germans, because even though most of the Bell Beaker and Corded Ware samples are from Germany, there's not enough of them to figure out what the earliest Bell Beakers in Central Europe looked like. From the samples we have, they look very heterogeneous, probably because some are admixed. The best match I get for poles and Slavs is Srubnaya, perhaps exactly because they derive their pre-Proto-Slavic roots from a late, eastern rump of CWC after it had sedentized and become more admixed with MNE. Makes sense. Srubnaya is thus far the population with most of the Z645 lineages sampled to date, even though they're mostly Z93. It doesn’t make sense IMO. Srubnaya is more eastern (i.e. has more steppe admixture than Sintashta) and Sintashta is a mix of Corded Ware and Poltavka. Since Sintashta is considered Indo-Iranian Corded Ware which contributed to Sintashta was probably already mixed with Neolithic farmers and was very like modern Slavs linguistically and genetically. Sintashta has too much European farmer ancestry to be simply a mixture of Corded Ware and Poltavka. It looks more like a mixture of whatever was ancestral to Srubnaya (eastern Corded Ware?) plus gene flow from somewhere far to the west, like maybe even the Carpathian Basin, where Sintashta-like horse cheek pieces have been found. For whatever reason, the ancestors of Srubnaya and Andronovo weren't affected by this extra western gene flow. Lengyel_LN doesn't work very well as a replacement for Barcin_Neolithic in my "Mesolithic to Neolithic transition model", because it's not basal enough. The models fail for many of the test populations. “Sintashta has too much European farmer ancestry to be simply a mixture of Corded Ware and Poltavka". I didn’t say Sintashta was a simple mixture of Corded Ware and Poltavka. I said it was a mixture of Poltavka and Corded Ware mixed with Neolithic farmers. Corded Ware spend some time in Poland mixed with Neolithic farmers, became Unetice or Slavic like genetically and then migrated east, mixed with Poltavka and became Sintashta, mixed with some other steppe Yamnaya like tribes and became Srubnaya. @ Davidski, cheers. I think a bit of miscommunication from me though, as I was trying to ask more about how the Lengyel sample breaks down when modelled with qpAdm under your qpAdm1 set of Barcin, CHG, EHG, Nganasan, Onge, WHG, Yoruba. Motivated by wanting to see if some of the different correlations in WHG and CHG are explained by what is different about Lengyel from Barcin. First of all I never mentioned Italy when I was refering to J2a, but since you mention it yes I do beleive that also in Italy J2a was introduced during the Bronze Age. I might be wrong, but I cannot see how you link J2 to WHG! Cyprus and Crete are full of J2, but they get close to 0% WHG in admixture results. Sorry if obvious to most, but what do you mean exactly by "K-A type people"? Actually Cypriots are very similar to some Levantine populations who show 0% SSA admixture (e.g. Druze, some Lebanese sub-groups, Israeli Arabs-not Palestinians, etc.). The main difference is that Cypriots are less Basal-rich and more Villabruna-like. First of all I never mentioned Italy when I was refering to J2a, but since you mention it yes I do beleive that also in Italy J2a was introduced during the Bronze Age. I might be wrong, but I cannot see how you link J2 to WHG! Cyprus and Crete are full of J2, but they get close to 0% WHG in admixture results". Of course only the aDNA will be the proof, but I published thousands of letters where many J2a (for not saying about other hgs) subclades are very old in Italy and only in Italy. Also about R1b1 everybody said that it wasn't in Italy, but after Villabruna was found... thus let's wait that Levantinists and Kurganists publish the aDNA they have in their labs. @ Davidski, thanks. The WHG level is linear between the two tests once the WHG in Lengyel over Barcin is accounted for. I wonder if this is why the Irish Raitlin samples showed some kind of Srubnaya connection ? Austrians where first created in 998AD , they are bavarians in origins. The Bavarians only became Germans 1600Years ago. Could it be simply that there were populations within the Yamna horizon with differing CHG admixture? Yes, there were, but that probably doesn't explain the extra CHG in Southeastern Europe, because the statistical fits for Southeast Europeans clearly improve with Armenia_EBA and Jordan_EBA, and also it seems too much of a coincidence that Yamnaya groups with inflated CHG migrated to places like Albania and Sicily rather than, say, Scandinavia. How is the CHG admixture in The Netherlands compared to Germany/Poland? Not sure. Can't run any of my Dutch samples in this test. Their marker overlap is too small. But I'm guessing that the Dutch should be somewhere between Germany, England and Norway in this type of analysis. It would be interesting to see modern European populations modeled as mix of CWC, BBC , Unetice and other contemporary groups. The Proto- Bavarians were Suebic tribes from Bohemia (Friedenham-Prestovice culture), and some Alemannic refugees. Based on what study of Austrian Y DNA? "It would be interesting to see modern European populations modeled as mix of CWC, BBC , Unetice and other contemporary groups." I have been doing some broad looks, at it's quite interesting, and the findings have already been mentioned here and elswehere. For example, early steppe-Yamnaya ancestry is best preserved in the north of Europe (northwest & northeast), whilst in central EUrope later Bronze & Iron Age movements have created a layering effect, erasing some of the earlier signals. But my feeling is Corded Ware left little legacy in Europe apart from a bit in the Baltic and Scandinavia. Most R1a today is from Slavic expansions which began in Ukraine c. 500 AD, and the ultimate source of Slavic R1a is from a late, eastern Corded Ware, perhaps even Srubnaya. It also seems Unetice didn't leave too much impact on modern populations. Nah, Balto-Slavs come from Corded Ware that acquired a lot of WHG around what is now eastern Poland and Belarus. It's not a coincidence that Z280 shows up in Germany during the Bronze Age, while Srubnaya has Z93. yes but all CWC so far is xZ645. You keep saying that but it's not true. What is absurd is to suggest that there was total population replacement in Poland during the early Medieval Period.
" Actually Cypriots are very similar to some Levantine populations who show 0% SSA admixture (e.g. Druze, some Lebanese sub-groups, Israeli Arabs-not Palestinians, etc.). The main difference is that Cypriots are less Basal-rich and more Villabruna-like." "What is absurd is to suggest that there was total population replacement in Poland during the early Medieval Period." Can you highlight where I suggested there was a "total population replacement" ? Some pockets of post-Przeworsk and post-Wielbark groups lingered on after 400 AD. Sure. Well if there was no total population replacement in Poland, then how can there be no thread of continuity between Polish Corded Ware and Polish Slavs? And considering that Z645 was in Scandinavian Corded Ware, then how did it get there if not from/through Poland? Seems pretty clear that Corded Ware left a big impact on Poland and surrounds, especially if there were large scale migrations from other former Corded Ware territories just to the east of Poland. You can't downplay the influence of Corded Ware on Poles and Balto-Slavs. It's not doable. "Nah, Balto-Slavs come from Corded Ware that acquired a lot of WHG around what is now eastern Poland and Belarus." "But my feeling is Corded Ware left little legacy in Europe apart from a bit in the Baltic and Scandinavia. Most R1a today is from Slavic expansions which began in Ukraine c. 500 AD"
A sample from Bronze age Germany belongs to R1a subclade typical of modern Slavs and has an autosomal makeup like modern Northern Europeans. I don't know a lot about European history but I think it's extremely unlikely that Slavs exterminated everyone in Eastern Europe. Just because most Eastern Europeans in 400 AD spoke a Germanic language doesn't mean they were genetically like modern Scandinavians. It's probable that a lot of them were like that Bronze age German guy and modern Eastern Europeans. It's probable that modern Eastern Europeans have a lot of ancestry from Roman-era East Germanic speakers. Look at the genetic makeup of Russians and Slavic SE Europeans for example. Russians are intermediate between Poles/BelaRussians and Turkic/Uralic Russians. Slavic SE Europeans are intermediate between Poles/BelaRussians and Greeks. Slavs probably mixed with natives in Poland and BelaRussia aswell but those natives were their genetic brothers so Poles/BelRussians don't look like a mixture of something Slavic and something else. "Most R1a today is from Slavic expansions which began in Ukraine c. 500 AD, and the ultimate source of Slavic R1a is from a late, eastern Corded Ware"
If Slavs repopulated much of Eastern Europe and derived from Corded Ware like you say....then Corded Ware left a huge legacy. "It also seems Unetice didn't leave too much impact on modern populations." Why?! They had a bit more Steppe than modern Central/East Europeans but nonetheless were basically genetically the same. That alone is good evidence they made a big impact. If Corded Ware or Unetice didn't contribute much to modern Central/East/North Europe then who did? WHo else was living in that region from 2600-2000 BC? You think they all just disappeared? That somehow modern people in their land are genetically similar but not their descendants? La Tene had the Almennic and Swabian migrations ..........Bavarians where not in SW-Germany, but where in SE-Germany . They should have similar markers to eastern Austrians. I have previously requested that you read carefully what others write instead of creating a series of straw-men in your mind. 1) "A sample from Bronze age Germany belongs to R1a subclade typical of modern Slavs and has an autosomal makeup like modern Northern Europeans"
So what ? This doesn't equate with residential -demographic continuity between 1500 BC (or whenever it dates from) and 700 AD. Actually, he is Z280*, whilst Poles are overwhelmingly M458 and derived clades like those under CTS1211. In otherwords, just because there were Z280 people in central Europe in the Bronze Age, it doesn't a priori hold that *modern R1as in central Europe descend from them directly. In fact, they do not, but instead come from a similar population but from much further East. Even the R1a in modern Germans is due to the new, Slavic migrants from the middle Ages, whilst that in Norweigians and other NW Europeans can be ascribed to original Corded Ware & mid Bronze Age groups. (2) " but I think it's extremely unlikely that Slavs exterminated everyone in Eastern Europe"
Of course they didn;t. Did I say that ? Slavs, so it is told, were known for giving POWs the choice of staying and becoming Slavs, or returning to their original homelands, after paying booty. But that's beside the point. The fact is that after 400 AD, then again after 450 AD, there was a massive demographic drop in eastern part of central Europe. A dry, cold snap, as well as the obvious fact that Vandals, Burgundiones , etc, all moved into Roman provinces or were killed in numerous battles has obviously a lot to do with it. Slavs moved into central -northern Poland and eastern Germany from 700 AD. This sequence of events is not even debatable anymore, as there are hundreds of dendro-dates from Germany & poland now. I am not suggesting Slavs moved into wholly empty landscapes, residual 'pre-Slavic' central Europeans survived in parts of Poland (Silesia, greater POland) and northern Bohemia. 3) "Just because most Eastern Europeans in 400 AD spoke a Germanic language doesn't mean they were genetically like modern Scandinavians. " I don;t think that either. They were probably more like French. If Slavs repopulated much of Eastern Europe and derived from Corded Ware like you say....then Corded Ware left a huge legacy." Yes I didn't articulate it well here. I should have specified that German corded Ware didn't leave much legacy, but more eastern CWC did (eg the Sandomiercz group). I was looking at Srubnaya, which is itself CWC descended. 5) "If Corded Ware or Unetice didn't contribute much to modern Central/East/North Europe then who did? WHo else was living in that region from 2600-2000 BC"
The CWC in central & western Europe (Switzerland, Germany, Netherlands) was supplanted by BB groups. And whilst Unetice has some CWC ancestry, it in turn did not leave much of an impact in modern Europeans. Recall how 2 of 3 of its men were I2a2 and I2c - not particularly common today, are they ? As stated above, modern Slavic R1a comes from more eastern CWC and post-CWC groups. There were many post-CWC cultures in eastern Europe, not just Unetice. Unetice is # 4. But it is but one of several other bronze Age cultures, all of which will have a lot CWC and BB ancestry. For the example of Slavs, their CWC ancestry comes from groups even east of #18, although I would not be surprised if southern Poland (#18a) also contributed significantly. But the point is, a lot happened between CWC and the Middle Ages. A whole series of internal re-arrangements within Europe. Rob, you're making grand assertions about the legacy of Late Neolithic Europeans when we have little data to look at. I've had the same thoughts you're having. But let's wait until we get more LN/BA data from Europe before being as confident as you are. How do you explain high R1a in Balts? Anyways almost all of our Corded Ware genomes and Y DNA are from early Corded Ware Germans. We can't make confident conclusions about the genetic legacy of all of Corded Ware from that. "But ultimately, 'the Slavs' expanded from Ukraine in 500 AD. So Mr Halberstatd man is not relevant"
"I don;t think that either. They were probably more like French." French-like German speakers replaced Mr. Halberstatd's people, then Slavs replaced those French-like Germans? That doesn't sound likely. There is nothing wrong with making grand assertions, especially when you've been researching this field for 15 years, and backed by multiple lines of evidence. And it's more to stimulate debate than claim it's biblical truth. BUt really, there is nothing 'grand' in my claims- just look up the Oxford Handbook of Bronze Age Europe. "French-like German speakers replaced Mr. Halberstatd's people, then Slavs replaced those French-like Germans? That doesn't sound likely." I know, right ? Isn't it amazing ?! "How do you explain high R1a in Balts? " Well, the Baltic isn;t in central Europe. The R1a in Balts comes from the same general "pool' as proto-Slavs, but with more archaic ones which did not participate in the Slavic expansions. They could have reached the Baltic with an early, eastern wing of CWC (not the German one). Or they could have arrived a little later, with the middle-Late Bronze Age (c. 1200 BC), where archaeology posits a new set of migrations from the Dnieper and and Poland, overlaying the first CWC wave. One last thing: think about it - archaeogenetics is proving to us how mobile and how much migrations occurred in prehistoric Europe, and even uncovering migrations not predicted by archaeology. There were migrations in Ice Age Europe, post-Glacial Europe, with the onset of farming, within EEF Europe, and the Copper Age. It would be extremely naive to think things just ended there, and Europe was glued in place after 2500 BC. I'm not skeptical of your hypothesis because it's difficult for me to believe enormous population replacement has occurred in Europe after 2500 BC. The reason is we don't have a lot of Late Neolithic, Bronze age, Iron age, etc. DNA from Europe. I don't think you have convincing evidence. It isn't a coincidence the modern day distribution of R1b P312 and R1a M417 in Europe match the distribution of the Bell Beaker and Corded Ware cultures. One part of your hypothesis I strongly dis agree with is that East Germans were French-like. Look at the genetic makeup of modern German speakers(xEnglish). Norse aren't French-like. And the only West Germanic speakers who are literally live right next to France. Unetice wasn't French-like, Bell Beaker Germany wasn't French-like, LN/BA Scandinavia wasn't French-like, Mr. Halberstedt wasn't French-like. Where did East Germans get their French-like ancestry from? There's nothing indicating they were French-like. You aren't convinced because you simply don;t know, and even on attempts to highlight certain aspects, you are proving stubborn. Go get a book and read about the Wielbark culture. Read about the Corded Ware culture. Read about the Urnfield expansions. Historians & archaeologists have known about these for decades. There is nothing to debate about it, I'm not being colourful. These things happened and aDNA is only going to confirm and fine-tune these my outline. How is this new to you ? "Historians & archaeologists have known about these for decades." Archaeology is weak evidence. It doesn't convince me at all. "Thus, there was plenty of structure in Bronze Age "
LN Sweden, Bell Beaker Germany, Unetice Germany, LN Ireland all had about the same ANE/WHG/EEF proportions. Hungary BA is the only outlier. Both in the Bronze age were not like French. "RISE 479 Germany - from Tumulus culture, middle bronze Age). The latter cluster toward modern French, ergo 'French - like"." And it was the Germans who made Germany non-French/Gaulish like. So how could the East Germans be similar to Celts? I don't deny diversity in LN/BA Europe but ancient DNA doesn't suggest there was a lot. By 2000 BC all our Northern European genomes look like modern Europeans except BA Hungarians and a South German. You're way way way way too confident. Archaeology isn't ancient DNA. Even if Slavs made as big of an impact as you think Eastern Europeans in the Bronze age would have been Corded Ware+MN+WHG. They would have been like the Slavs. Yes they were "similar" but still detectably different in terms of, both, autosomes and Y DNA percentages. You keep missing this inortant point. The ultimate fact is that there, at times, were wholescale population changes within Europe- especially central-eastern Europe. Subset which continued further east, SEE Poland and west Ukraine. You'll see what I mean soon when lba and Iron Age papers start coming out. How many of the Corded Ware from Poland are Z284? How many are Z280 or M458? “Balto-Slavs come from Corded Ware that acquired a lot of WHG around what is now eastern Poland and Belarus”. I think some early Indo-Balto-Slavic dialect was spoken by CWC tribes when they mixed with Neolithic farmers in Poland and became Unetice like. Then Balts separated when CWC migrated north-east and mixed with hunter-gatherers around Baltic Sea. After that Indo-Iranians separated when CWC(Unetice like) migrated east and mixed with Poltavka. Slavs remained in Poland and they probably preserved most of the original CWC language. This is what linguists tell us and it fits genetics and archeology. 1. "German" aDNA: I understand your set has been compiled from various sources. Would it be possible to split it up geographically for a better insight (e.g. R1a-heavy East, R1b-heavy SW, I-heavy Northwest, mixed [Roman-influenced] Rhineland)? 2. My asking about Skyths/ Alans didn*t question the general admix, but was geared towards explaining the extra CHG in Poles/ Germans that can't be covered from Steppe_EBA. As such, it still stands. Admix13Q, and nMonte analyses provided to me by Alberto and Rob, agree on a well visible Levantine element in Iberia_EN CB13 (Barcelona, 5475–5305 BC) that, interestingly, is missing in the somewhat later El Trocs (Central Pyrenees) samples. 2. Intuitively, for the significant share of Natufian / PPN Jordan yDNA E1b1b in Albanians, I would expect a Levantine component within them, which may go back to the initial Cardial settlement. Could you run a respective test, Dave, and see whether the fit can be improved? 3. The paper linked below sets out a narrative that might explain Armenia_EBA in Albanians. Essentially, it points at cultural and demographic collapse in Greece and the S. Balkans around 3,700 BC (unexplained, but coinciding with the end of the Holocene Climate Optimum, and similar collapse along the Rhine) This collapse would have created immigration opportunity for Steppe populations, ultimately leading to the emergence of the Petromagoula-Doliana Group (PDG) after .3,500 BC in N. Greece and Albania. 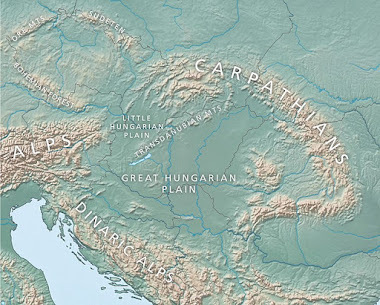 PDG had significant cultural influence on Baden, demonstrated by so-called “lids/bowls of Bratislava type”, which concentrate between Thessaly and E. Albania, but have been found as far north as Jesovice, Czech Republic. To me, these bowls also bear some similarity to the cremation bowls used by the Schönfelder Group on the Lower Middle Elbe (early 3rd mBC). Assuming the above scenario to be correct, but the PDG not being a full replacement of previous populations, EEF elements of Cardial, i.e Levantine-influenced, stock should have continued to be present in Albania. Man its really getting boring . To support what I have said earlier here is the quotation from top expert on Sanskrit language, T.Burrow "The Sanskrit Language"
The challenge is to determine when and where Indo-Iranian language originated. So BMAC language was closer to Slavic than Avestan or Vedic Sanskrit. Andronovo language then was closer to Slavic than BMAC. Andronowo originated from Sintahta and Sintashta language had to be closer to Slavic than Andronovo. Sintahta originated from mixing of Poltavka and Eastern Corded Ware, so Eastern Corded Ware language was closer to Slavic than Sintashta. But finally Eastern Corded Ware originated from Corded Ware homeland in Poland where till today Slavic languages are spoken and little genetic admixture occurred. So original Corded Ware language in Poland was closer to Slavic than Eastern Corded Ware. It again confirms that central (Baden) & east-central (Cernavoda) European influences reached Greece after an obvious period of population decline / collapse. But how does that explain the Armenia EBA (whatever the exact amount) seen in southern Balkans ? Rob: I agree, the Coleman paper stays rather abstract, and essentially repeats the well-known Gimbutas-Anthony narrative of “Kurganizsation” of the S. Balkans after 3,700 BC. As only evidence for "Steppe" connections of PDG, three copper daggers from Microthives, the general advance of arsenic bronze, and “larger vessels with plastic ‘rope’ decoration” (p. 26) are mentioned (the latter isn’t even placed into the obvious “corded” context). The paper doesn’t sketch any specific trail of contact/ migration. However, by mentioning that the cultural and demographic collapse also affected W. Anatolia (Kumtepe Ia), a Circum-Pontic relation, i.e. possible migration along both the northern and southern Black Sea shores is hinted at. And, in fact, there is increasing evidence of Maykop influence on Poliochni/ Troy, as I have reported here. For the time being, we may assume Maykop having looked quite similar to Armenia_EBA (Maykop aDNA, once we get some, may verify or falsify that assumption). The trail into the S. Balkans obviously precedes Yamnaya, and may also have gone along the southern Pontic shores (or in general have been seabound, including along Crimea), resulting in the arrival of a primarily Caucasian, only weakly EHG-admixed population on the Bosporus and, ultimately, in Thessaly and Albania. Speculative, of course, but the most parsimonious scenario I can think about at the moment. Let's say most R1a in Eastern Europe today expanded with Slavs. That does not mean Eastern Europe was not R1a-rich before Slavs expanded. Ancient Y DNA demonstrates that founder effects replace their brethren of the same haplogroup. Corded Ware and Yamnaya were R1a/R1b as were their EHG ancestors. All Corded Ware so far is R1a, with two that may be R1b. We have four Y DNA samples from post-Corded Ware Eastern Europe. All are R1a. I guess if you think French-like German speakers exterminated everyone in Eastern Europe then at the time Slavs expanded it wasn't R1a-rich. The Slavs didn't exterminate native Russians or Balkaners. So why do you think they exterminated native Poles and BelaRussians? FrankN said: "1. "German" aDNA: I understand your set has been compiled from various sources. Would it be possible to split it up geographically for a better insight (e.g. R1a-heavy East, R1b-heavy SW, I-heavy Northwest, mixed [Roman-influenced] Rhineland)?" May I second that? Northwest Germans and Dutch are similar. We saw some strange affinity of Dutch recently. That may very well be an artifact. If that is the case one would say Northwest Germans would act differently. my lord! I previously spent multiple paragraphs explaining to you that no one wiped out anybody. It's demographic pull and push. Cultures and peoples expanded throughout prehistory ; we know that. Of course there was always going to be R1a in Central Europe after 3000 BC, but > 90 % of R1a nowadays is from "Slavs" and NOT the original CWC type (L664) or even the Urnfield Z280* . If you doubt it ask the R1a experts . In the Middle Ages, most Germani had * left* on their own accord, or dwindled away due to bad harvests. Have you heard the "Great Migrarions" period? vandals to Africa and goths to Spain ? It doesn't sound like you have . There was a major demographic collapse in areas east of the Elbe after 400AD. This kind of thing happens in pre-industrial societies. FrankN just posted another paper about yet another collapse in the Balkans in 4000 BC, and it happened at least partially in Northern Europe just before CWC arrived. THEN, After a gap of 50-100 years the Central Europe was setttled anew from somewhere east of the Vistula , which proceeded west as far as Denmark. This is common knowledge - but you seem completely oblivuous to what should be common knowledge even for the Nubest of Nubes. I can't devote anymore time to you, sorry, because a 2 way diacussion requires a base level of faculties . @Sam, ignore what Rob is writing. He lives in the fantasy world created by German NSDAP-professors in the past century and repeated by funs of Kossina in Wikipedia. The truth is there is no evidence of Germanic tribes in the Roman period in Poland. “Several hypotheses have been advanced regarding the origin and early migrations of Slavs, of which two - autochthonous and allochthonous - have predominated. According to the autochthonous hypothesis, territories around Oder and Vistula rivers (in present-day Poland) were continuously inhabited by ancestors of Slavs from the Roman Iron Age (0–400 AD), or perhaps even further back in time from the Bronze Age (3200–600 BC)  until the Medieval Age (500–1500 AD) . In contrast, the allochthonous theory suggests the discontinuity of settlements between Roman Iron Age and Medieval Age in the territory of present-day Poland. Allochthonists hypothesize that the Slavs originated in the Pripet and Middle Dnieper River basins in modern-day Ukraine, from where they migrated to the west and south of Europe in the beginning of 5th century AD and inhabited the lands of presentday Poland, which was previously occupied by Germanic tribes during the Roman Iron Age . However, morphological analyses of skeletal materials from present-day Poland have suggested a continuity between Roman Iron Age (represented by Przeworsk and Wielbark cultures) and Medieval Age populations [10,11] thus providing less support to the allochthonous model. And now we have some info about incoming prof. Figlarowicz paper on aDNA in Poland. He suggests that Slavic hypothesis is preferable over Germanic i.e. that Slavic population was living west of Vistula river in Roman times and that it didn’t change much in comparison to Slavs living there in Early Medieval times. He has got 100 genomes from Roman times and about the same amount from Early Medieval times. Figlarowicz words seem to confirm earlier results of anthropology and genetics. There was continuity in Poland. There is no evidence for Germanic tribes. Kossina’s archeology was and is pseudoscience. Let’s wait for this paper to have everything clarified. I am neither Polish nor German nor Ukrainian. I have no axe to grind on the matter. Suffice to say it is you who is in fantasy world of continuity since CWC times. No region or country in Europe has absolute continuity since 3000 BC, let alone ones in the north Euroean plain, which by virtue of their geography and climate have seen several rounds of regional turnovers and expansions. The entire premise of the autochthonists has extremely tenuous: Slavs somehow originated in Poland, but used Germanic material culture, then adopted anew cultural outlook - which happens to first appear in eastern Galicia & Podolia, then expand out of Poland, then back into it, or some such quackery. And contrary to your wishes, I somehow doubt aDNA will bring the results you want. Your bias is all too transparent: you only are citing Trubachev, who wrote decades ago, whose position on Slavic linguistics is an extreme minority, resting as it does on the Neolithic hypothesis. No sane linguist in the world really believes Slavic existed in 3000 BC. Try 450 AD ! And you should read the devastating critique by Marek Dulinicz on the so-called proofs offered by Pontiek, not to mention a long line of recent, native Polish scholars who have nothing to do with Kossina or the 1930s. Adding Yamanaya as as source (instead of simply 'EHG'). - 'LBK' doesn't appear to be a good proxy for Dutch Neolithic ancestry. Is there a basis to this, Frank ? - even with Yamnaya, they pick up significant amounts of Kotias. - we should also recall that, although not particularly common as a whole, the R1a in Dutch is predominantly of the 'old European type' L664 found in the majority of German CWC. I hope that if a troll says that you should ignore EastPole's comments, then you already know to whose comments you should pay a special attention. You have in your hands a proof showing from where Balto-Slavs came. You just need to make a single plot. Cześć! Chciałem następnego dnia odpisać, ale sam dobrze wiesz co się stało. Jeśli cokolwiek pisałeś _TAM_, to też tego jeszcze nie widziałem. Mój mózg zrobił to, co zwykle. Poczuł się zawstydzony, zakłopotany, do tego stwierdził, że popełnił głupotę i wycofał się celem przemyślenia wszystkiego od początku. Ale po czasie wnioski nadal inne wyjść nie chcą. Nie mówiąc o tym, że na nowszych arkuszach widać wszystko jeszcze wyraźniej, a do tego na światło dzienne wyszły nowe, przeinteresujące szczegóły. A propos światła - chyba udało mi się znaleźć włącznik. I to nie od pojedynczej żarówki... raczej od świateł stadionowych. Dobrze, że się nie dajesz zbić z pantałyku. Also I'd like to thank you for a citation from T.Burrow. "Thus, Levin is right about Slavic's being more conservative than Baltic in morphology. This we see with four Slavic antiquities in declension (substantives) and five Slavic antiquities in conjugation (verbs) no longer matched in Baltic. But Levin must also remember that the fact that Baltic is archaic in phonology while Slavic is archaic in morphology only emphasizes the inescapable fact that Baltic has never been Slavic and Slavic has never been Baltic, however much both groups have influenced one another. Both have always been separate, a fact borne out by their continuingly separate drifts demonstrated by the facts presented in this paper." "Baltic group was to a certain extent autonomous of Slavonic even at this early date." It's good to see a smile on a child's face. But do you have any arguments? Btw Why do you think Dave is being quiet ? I was out all night. Didn't get any sleep. It's easy to be a keyboard warrior when you don;t know anything about the person you are addressing. Anyhow, you are merely displaying your irrational, emotional cognitive dissoance on the matter. WHy don't you try reading some of the latest excavations & summaries coming from Poland ? latter half of the 5th and on the turn of the 6th c. people was settled by groups, presumably small, associated with the culture tradition of Central European barbarians of the Roman Period. are a part of an altogether different story." dieser Periode. Im Vergleich zur vorherigen Epoche lassen sich der Zeit von der zweiten Hälfte des 5. Jahrhunderts bis zum Beginn des 6. Jahrhunderts nur recht wenig Fundmaterial bzw. Fundorte zuordnen." - Przemysław Sikora. Die Anfänge der Zentralisierungsprozesse im frühen Mittelalter in Polen. 3 of the latest, scientific works from Poland. What do you have ? A bunch of half-baked personal assertions, some skull shapes, and H Meyer - the most widely known crackpot Linguist. You should have read some of the comments here ;) . b) Most of the Netherlands was only neolithicised by Michelsberg. Rhinish LBK collapsed for yet unclear reasons around 5000 BC, after just 200 years, which should have provided little opportunity to influence Mesolithic Swifterband. Against this background, it might be a good idea to include Iberia MN (say high-quality I0408) as source pop and see what occurs. Otherwise, an idea how Michelsberg Neolithic colonizers could have looked DNA-wise may be provided by Ballynahatty and Gökhem. f) Afterwards, the Netherlands and Lower Saxony participated in Funnelbeakers, CW and BB, in the case of CW incompletely and as latecomers. Lower Saxony is commonly regarded as part of the “Nordic Circle” aka Nordic BA, but borders to Tumulus are anything but clear-cut. Westfalia is a convergence zone, splitting into several subgroups along Weser, Ems and Rhine, with the latter two disregarding today’s borders and covering respective parts of the Netherlands as well. Romans south/ west of the Rhine should be considered and might explain a bit of the Caucasian stuff (c.f. the York Romans), as should be Anglo-Saxons and Vikings (-.>Motala). @East Pole: Have you ever heard of the old Silesian (<-Silingi) capital of Niemcza? Any idea why Slavs chose that name? Santok has a perfect Germanic etymology (“sand island”) that fits the topography - can you provide a better Slavic one? Kalisz, Ptolemy’s “Calisia”, is apparently neither Germanic, nor Slavic, but most likely a Celtic name. However, it required the Germanic sound shift to have its inhabitants appear as “Helisii” with Tacitus. OTOH, preservation of the “K” sound in today’s name points at multilinguism. Ptolemy’s “Lugdunum” is clearly Celtic – if it isn’t identical with Legnica, than the city’s name has at least preserved memory of the “Lugi”. Vltava – “the vaulting”. Suebus, an alternative name of the Oder recorded by Roman authors, indicates the origin of Suebes and Swabians. - the partial Cardial origins of Michelsberg explains why the Neolithic component in Dutch isn't a simple "LBk"
The early neolithical settlements were also restricted to the most south-western tip of the Netherlands. There were settlements outside that but they are considered to be Swifterband culture, a local offspring of Ertebolla. They relied heavily on hunting, fishing and pig keeping and only later started to grow a little cerreals, mostly barley. The pint is that LBK relied on fertile grounds, most likely loess grounds. The first settlements outside that area was Funnelbeaker. They settled on sandy highs such as the Hondsrug, which has the most of all Dutch megaliths (Hunebedden). I always assumed that they somehow found a way to increase yields on sandy grounds. @Rob, stop quoting pseudoscientific junk coming from closet Kossinnists. Pots are not people, you know it very well. Lets wait for aDNA. All that BS about Goths and Vandals in Poland is based on Hitler’s dream to take our land. You failed and aDNA will be your next Tannenberg or Stalignrad. "It's easy to be a keyboard warrior when you don;t know anything about the person you are addressing." "Anyhow, you are merely displaying your irrational, emotional cognitive dissoance on the matter. WHy don't you try reading some of the latest excavations & summaries coming from Poland ?" You're the only Yamna Warrior here. We are rather like a Buddist Monks. Recently on a Polish historians forum I've read that in some settlements in Greater Poland the dating was pushed back in time, so already we have a confirmed continuation from a time before the supposed depopulation. Moreover there was plenty of excavations during recent highways construction works... and again, plenty of new findings. So the picture is starting to change. Although I'm not EastPole, I can give you some answers. "Silesian (<-Silingi)" - in the first place the Silingi didn't live in Silesia. Niemcza - could be a personal name, general "foreigners", German settlers. I hope that you don't think that every łabędź niemy (mute swan) in Poland have a German passport. Anyway this name is rather young. Santok - sątok - literally "same roll/flow", two connecting rivers - Noteć and Warta. Calisia - maybe even Celtic, probably it was full of merchants. But I think that we should give a try to a theory that it was established by the Kalash people. "The name Kalisz might stem from either the Celtic term "cal" which means stream, or the Slavic term "kal", meaning swamp or marsh." - wow! kal and cal. Was this Celtic a dialect of Polish? Helisii - do they have anything in common with Kalisz? What we know about them? Name only? Legnica - plenty of possible Slavic etymologies. Lugii? Łużyczanie maybe? "Vltava – the vaulting" - Nice try! Borrowing from Old French volte (modern voûte), from Vulgar Latin *volta < *volvita or *volŭta, a regularization of Latin volūta (compare modern volute ‎(“spire”)), the past participle of volvere ‎(“roll, turn”). Borrowing from Middle French volter ‎(“to turn or spin around; to frolic”), borrowed from Italian voltare, itself from a Vulgar Latin frequentative form of Latin volvere; later assimilated to Etymology 1, above. "Suebus, Suebes" - Suevus and Suevi. Something like Suovianie. Srubnaya has nothing to do with CWC it’s a post-Catacomb culture. From genetic point of view the folks of Trzciniec, Lusatian and Przeworsk cultures(predominantly bearers of R1a-Z280 subclades) were incredibly Slavic/Srubnaya like. I think it’s obvious. Srubnaya have so far come back as R1a Z93, thus it has a more direct link to the late Bronze Age individuals from Germany (Halberstadt- Z280*) and couple of the Nordic Bronze Age (Z284), than the latter two do with the earlier CWC individuals in Germany (Z645 -, probably L664). So how can Srubnaya be irrelevant ? We can't be sure which lineages the Luzation culture lineages will be; the could be mostly R1b, hypothetically, whilst we can certainly agree that Trziniec will be part of the MLBA R1a link. Glad to hear you're in Zen. I'm not a kurgan warrior either. I'm very aware of those reports, they're very interesting- eg Zychlinski et al in Otorowo & Poznan. I have distinctly stated that there was never a complete depopulation, and there was certainly some continuity, but the overall picture remains unchanged - in the 5th century the Vistula-Oder lands as well as in the Black Sea region there was demographic decline, with the classic Wielbark and Przeworsk systems gone, and a new settlement landscape characterised by low population density and increased mobility, and residential change. No doubt these refugial populations contributed to modern Poles- such as the high (20%) R1b seen in poles otherwise absent in Belarus and Ukraine, some of the I1 and R1a subclades. But overall, the Prague culture has its origins to the southeast, in carpathian Ukraine, some 100 years earlier than appearing in central Poland. the Sukow culture is a more difficult question. I think that R1a-M417 folks have nothing to do with CWC. I believe that all R1a-M417 came from Catacomb culture. Looks like Catacomb folks (R1a-M417) cleansed majority of CWC folks (xM417) in Eastern and Central Europe and took their lands. I think that Srubnaya, Trzciniec, Komarov, Lusatian, Chermoles cultures are in fact post-Catacomb cultures. I think that R1a-M417 folks have nothing to do with CWC. There's M417 in Scandinavian Corded Ware. And there's M417 in direct Corded Ware offshoot cultures in Bronze Age Eastern Europe, as you're about to learn. the aeba/chg ratios for albanians greeks and germans are quite similar. 2.74 for albanians 2.7 for greeks 2.26 for germans. Exactly. And we have a lot of M417 in CWC (in fact only some clades of M417) because as I said Catacomb folks (R1a-M417) invaded and cleansed CWC folks. This fact would be pretty much obvious when we get more aDNA from CWC. R1a-M417 are not original CWC folks they are invaders. @Arza: “the Silingi didn't live in Silesia”. According to Ptolemy they did. ”Santok – sątok”: AFAIK, there isn’t a single attestation of the name that doesn’t include the “nt”. "Vltava – the vaulting" - Nice try! : Not my etymology, but J. Udolph’s. Derived from PIE *welh “to turn, to wind” (->”wheel”), a root that is neither documented from Slavic, nor Celtic. Good point. As there is no doubt that Swabians and Suevi spoke Germanic, incoming Slavs must have taken over that old name of the Oder, and the corresponding ethnonym. The same phenomenon is known for the Rugii / Rujani and the Varni. “Was this Celtic a dialect of Polish?” Possibly the other way around. OK, that is exaggerated. But several of the phonetic and lexical peculiarities of West Slavic may in fact be best explained by Celtic and/or Venetic influence. C.f. A toponymic root of possible Celtic origin is “Chelm/ Kulm” (helmet, cup), e.g. Chelmno, Kulmbach, Olomouc (Holomoc). Note that the latter has partaken in the Germanic “c”->”h” sound shift (as the Český Fousek dog breed shows Germanic “f” in place of Slavic “p”, c.f. Pol. pies = “dog”). I was testing the D-stats based sheet with the outgroups (columns) to see what introduces so much noise in the models based on AN-WHG-WHG-CHG. And results match what you posted further up about Cypriots, who have a good amount of CHG over Yamnaya. When you used Armenia_EBA there was a dramatic improvement in the model. This is not because Armenia_EBA is anything special (it's mostly Barcin_Neolithic + CHG), but because you stopped having CHG in both pright and pleft populations. I think that is a problem, and not only introduces a lot of Onge noise, it also messes up the CHG values. I think that if you try to model Sicilian, Tuscan or Bulgarian as in the qpAdm models from the previous post, but without Satsurblia in the outgroups (instead you could use Georgian or Armenia_EBA), you might see a significant difference/improvement. Just something to try if/when you get some sleep and have time. When new samples come in it would be good to have the tools working as good as possible. "Trzciniec, Lusatian and Przeworsk cultures(predominantly bearers of R1a-Z280 subclades) were incredibly Slavic/Srubnaya like." You should specify which Slavs you're speaking of. No Slavs are the same as Srubnaya anyways. Srubnaya had 20-40% more Steppe ancestry than any modern Slavs. Srubnaya genetically fits in Europe, closest to some Eastern Europeans, but that doesn't mean they can be called the same people. "but without Satsurblia in the outgroups (instead you could use Georgian or Armenia_EBA), you might see a significant difference/improvement." But the best way to test if a modern population has ancestry from an ancient population is to put the ancient population in right and left pops. Taking CHG out of the left pops will improve the score but give inaccurate CHG ancestry proportions. IMO what we should do is add Levant Neo and Iran Neo as ancestors somehow. I can take out Satsurblia from the outgroups. But I can't have Armenia_EBA as an outgroup and CHG and Barcin as references, because CHG and Barcin-related pops contributed gene flow to Armenia_EBA at around the same time or even later than they did to modern Europeans. The thing about qpAdm is that you can have closely related pops in the outgroups and refs, as long as the gene flow between them is clearly earlier than the admixture events you're testing for. IMO what we should do is add Levant Neo and Iran Neo as ancestors somehow. Levant Neolithic conflates with Barcin Neolithic and Iran Neolithic conflates with Caucasus HG. There's just no way to split admixtures from them reliably when they're in the left pops. Only thing I can do is iterate the refs and see which ones improve the fits. "Levant Neolithic conflates with Barcin Neolithic and Iran Neolithic conflates with Caucasus HG. There's just no way to split admixtures from them reliably when they're in the left pops." Ok. So CHG ancestry proportions will represent Iran Neo/CHG ancestry proportions and Barcin Neolithic ancestry proportions will represent Levant Neo/Barcin Neo ancestry proportions. Yeah, groups with Levant Neolithic ancestry will just show higher Barcin Neolithic proportions, but the fit will be worse, than when also using a more recent reference that is a mixture of Barcin and Levant Neolithic, and maybe even CHG, like Jordan_EBA. Have a look at the Sicillian results in the second spreadsheet. Off topic, (in case it wasn't obvious from the other comment thread) I'm pretty impressed with the ability of the "Days of High Adventure" PCA based on the prehistoric samples to capture differentiation within present day West Eurasia, particularly Europe, when compared to the Globe9. Albanian: http://i.imgur.com/hTQiZji.png, Ashkenazi: http://i.imgur.com/n2wX6a6.png, Basque French: http://i.imgur.com/kMR48G7.png, Belarusian: http://i.imgur.com/Nafxpo3.png, Cypriot: http://i.imgur.com/drn4eVa.png, English Cornwall: http://i.imgur.com/GlGG3wP.png, Finnish: http://i.imgur.com/OlAuRLw.png, German: http://i.imgur.com/6XOrMhY.png, Lithuanian: http://i.imgur.com/FE1AZhk.png, Norwegian: http://i.imgur.com/LjXIqJj.png, Orcadian: http://i.imgur.com/CHMPsOs.png, Sardinian: http://i.imgur.com/iupuwTf.png, Serbian: http://i.imgur.com/0yzGEdz.png, Swedish: http://i.imgur.com/0GPdZmJ.png. (Scaled so that the maximum distance among West Eurasia, incl. WHG, other ancients, etc. is the same). The "Days of High Adventure" PCA always produces a more geographically logical distance between modern populations, apparent comparing, e.g. the Belarusian and Norwegians. There's no hopping around Europe with distances in the distances based on the "Days of High Adventure" PCA. The Basques also have a quite distinctive position that seems to better map to some of their affinities. MDS showing this visually: http://i.imgur.com/MWHQGSw.png. MDS on the distances from the "Days of High Adventure" strongly resembles a PCA on modern European genetic data, while the PCA based on Globe9 doesn't really. If this method is supplemented with the Mathieson's Balkan farmer data (http://eurogenes.blogspot.co.uk/2016/09/ashg-2016-abstracts_8.html) and the NE European forager-farmer Neolithic transition data (http://eurogenes.blogspot.co.uk/2017/01/forager-country.html), plus new Bell Beaker data, it may be able to decompose fine structure ancestry of Europeans well beyond the simple EEF, WHG, EHG, CHG groupings. Just running a few tests, with and without Satsurblia, and with Iran Neolithic instead of Satsurblia, it seems like my solution is the most effective one for the time being. Even if Armenia_EBA were to seemingly improve the results, like I say, it's simply not the right way of doing things. My view is that the Onge signal is real, if viewed in the right context, which is that Kotias is not the perfect Caucasus_HG reference for this type of ancestry in Europe, and the algorithm is making a correction in the best way it can. A little thing about genetic continuity. In my humble opinion the only areas you'll find more continuity are areas that were not very usable for newer, higher developed cultures such as the neolithic settlers. Let me put this in more graphical terms: The only reason some Europeans have more continuity is because their ancestors lived in uninviting shitholes nobody wanted to invade and chase them out off because of the sheer unadulterated uselessness of their home lands. PS: Tongue slightly but certainly not entirely in cheek. We asked before but is there any way to run these things with Germans split into Northwest, Northeast and Southern? The reason I (and FrankN if I recall correctly) ask is that there may be a really large difference between these parts. Especially between southern and non-southern Germans. There's no way to do that at the moment. Thanks for testing that. I'm not very familiar with how qpAdm works. In the beginning it was said that there shouldn't be recent gene flow between the left and right populations, but then things probably have evolved. So I'm not sure if having CHG and Satsurblia in both is better than having Armenia_EBA in the right pops (or alternatively Georgian, which is what I've tested in the D-stats sheet because there was an column with it and it seems to work pretty good for CHG ancestry). In any case, it's clear that with a better reference for CHG things would change significantly, since even using Iran_Neolithic in the outgroups already makes quite a difference (though not better fits). Adding Iberia_N does nothing for Dutch. I think I know what's going on. A I've mentioned before, I suspect there were at least a couple of Neolithic streams into central Europe. The frist, 'classic', haplogroup G predominant one was followed by a second one soon after. i think northern-most European Neolithic cultures, and perhaps westernmost (in France) only received input from the 1st wave, whilst central European Neolithics, including the many of the LBK, received a second wave. Hence LBK isn't a good proxy for the native Neolithic in Netherlands, because it has extra ANF. I think using a more proximate source than Kotias as the Caucasus_HG related input into Europe, but still keeping Satsurblia, or using an older Caucasus or South Caspian UP genome, in the outgroups is the way to go to get the most robust estimates, and should clean up the results to some extent. As a Dutchman i tried your model for the Dutch average. It looks like my results are quite different than the Dutch one. where's the CHG in the top one ? That CHG isn't real. I'd let it go. My Dutch fit with their neighbors. More EHG than CHG. I guess it's the overall which picture which matters. Maybe one of these new papers will have some Dutch Neolithic and Corded Ware samples ?! Model yourself with EHG, CHG, EEF, and WHG. Which EEF population do you have in mind? LBK? Barcin Neolithic(EEF), Kotias(CHG), Karelia_HG(EHG) or Eastern_HG(EHG), Loschbour(WHG). We have Anglo Saxon and Celtic Briton genomes. No one has been able to accurately determine Ango Saxon and Celtic ancestry in modern British because the two populations were so similar. The same will probably be the case once we get Gaulish, Gothic, whatever else. Maybe a method will be developed which will be able to do so. Using D-stats I modeled modern French and Dutch as Bronze age Southern German(R1b-U152, Gaulish?) and Bronze age Scandinavian(I1, R1b-U106, Germanic?). French came out 80% Bronze age Southern German, Dutch came out 80-90% Bronze age Scandinavian. Some of your comments are going into the spam folder. Not sure why, maybe because of the account you're using? They came up with pretty logical stuff for the British already. @ Davidski, ah, I was wondering about that. No, regular account, maybe I've made the comment a bit spam like in its structure (hopefully not in content) ;) or because I multiposted in another thread a lot or something . I've deleted one copy. Thanks for that. "They came up with pretty logical stuff for the British already." It wasn't very good. As I recall they estimated Anglo Saxon ancestry based on the frequencies of rare alleles. I take their 30% Anglo Saxon estimate for English with a grain of salt. Y DNA actually suggests the Anglo Saxon impact was bigger. ADMIXTURE, PCA, and formal stats have difficulty differentiating Anglo Saxons and Britons. I do think eventually a good method will be created. We need a whole bunch of British Celtic, Anglo-Saxon, Danish Viking and Norman Viking genomes to see what Brits are made of. The Celtic vs Germanic ratio might well turn out to be 70/30 in much of England if the Germanic gene flow was male mediated and there were strong paternal founder effects. But it's impossible to say right now. Currently the 30% figure is very preliminary. Those were pretty incredible papers, and the depth of sampling across recent ancient history is great compared to any other region, it's just a testament to how hard it is to make a perfect conclusion on as fine grained a level. Though anyway, as we've discussed before Galinsky's 2016 paper (http://biorxiv.org/content/biorxiv/early/2016/05/27/055855.full.pdf) complicates matters by suggesting that some other populations, maybe Norman French, are an ancestral component of the English as well (or else English would not deviate from Iron Age Celts and Saxons on steppe related f4-stats... unless there were varyingly steppe like populations among British Celts and Saxons and some expanded more than other). "Scythians had a lot of Siberian admixture and Ossetians are modern West Asians,"
What does modern West Asian mean to begin with. Ossetians definitely have more to do with Alans than we are giving credit for here. so did two of three other samples from Rostov in middle of Alan homelands turned out with G2a and one with R1a. I don't think that is merely coincidence. Assuming that late Iron Age groups like the Alans would be like Bronze Age Steppe samples on itself is very unreasonable. We need Alanic aDNA samples. And I for my part assume they will be closely related to Ossetians. Maybe little more EHG shifted.